Row row row your boat in London! 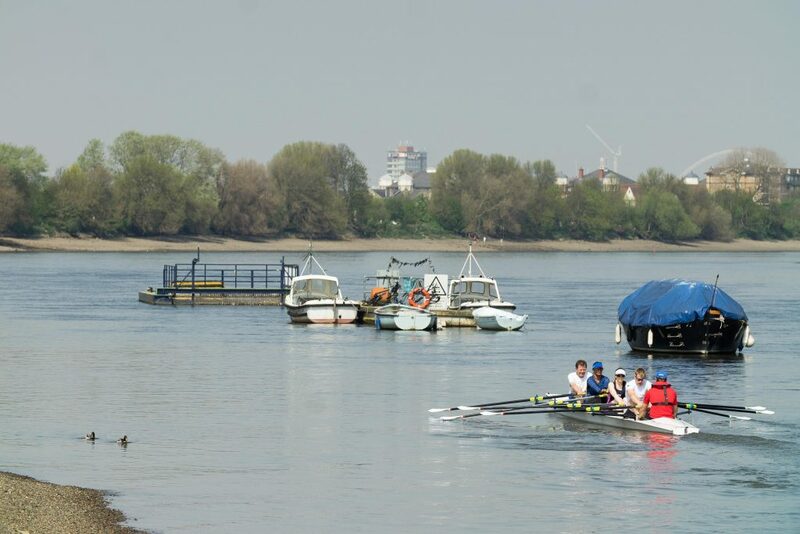 I love living near the river in Putney, we walk along side it a lot and often see rowers out on the Thames. I used to think that rowing was some sort of secret society, that unless you start at school you can never get in. Luckily I was wrong and Toprow London have shown me just how easy and accessible it is to start rowing.Their beginner level rowing courses are practically available to everyone. It is fair to say that rowing is a sport and due to it happening on water a little dampness will be involved! So the courses are for anyone willing to get their hands a bit dirty (damp). 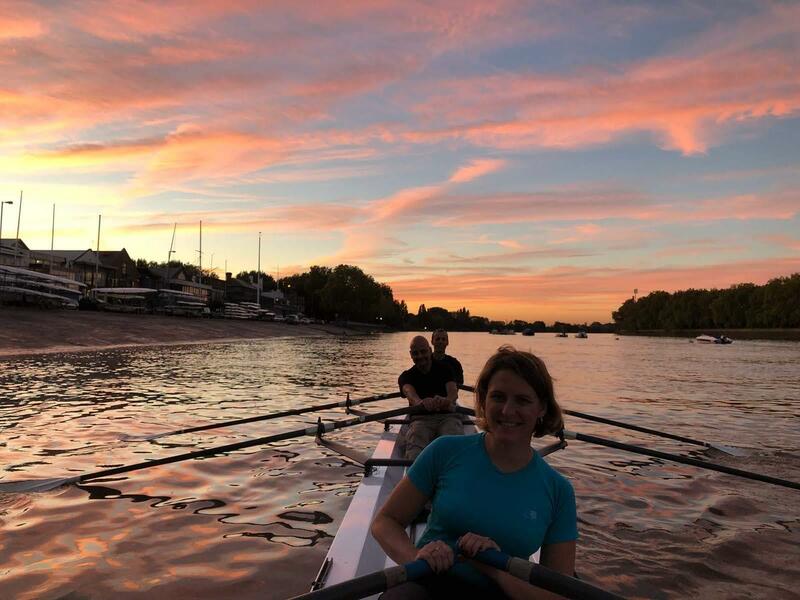 I started my first course in September 2018 on a weekday at 6pm with 3 other plucky rowers. At that time we were really lucky with the sunny weather and experienced plenty of beautiful sunsets. We had a good crew and all got along really well. 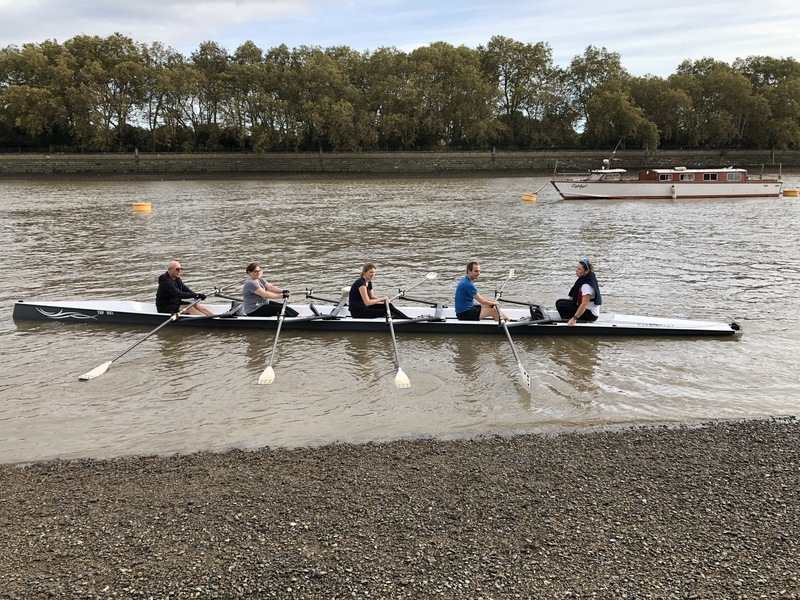 With each passing lesson we learned a bit more and by the end (of the first course) we were able to row continuously, fast and quite comfortably all the way from Putney bridge to Hammersmith bridge which is a good 5 miles in total. The thing I enjoy the most about rowing is that it is a team sport and you must be in tune with your fellow rowers, otherwise you won’t achieve anything. The sensation of rowing together at the same pace is really calming, it is a restorative experience doing this as a group. Carrying the boat, cleaning the boat. Everything is done together. In our first course we were blessed with good weather, but how do you cope with when the weather gets worse? The answer is simple. By that time you are so hooked on rowing, that you don’t mind a bit of a rain or icy wind and besides the rowing keeps you warm. I was looking forward to learning more on the “Learn to Row 2 Course”. Toprow is expanding. This week we will start with the first lessons in New York City. American Mel Abler is responsible for the course and has recently visited our location in Amsterdam. What did she learn and what is she planning on doing in New York? Mel (25) was born and raised in Wisconsin and got into rowing during her time in college. 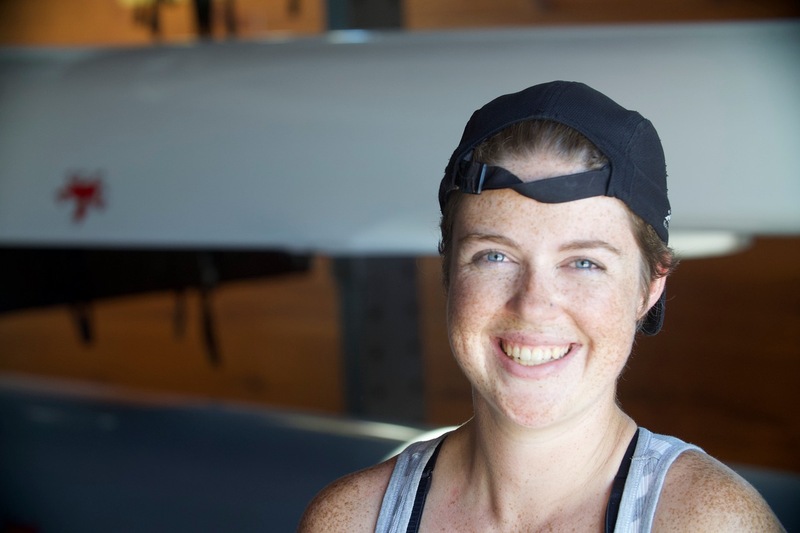 “Due to my small stature it was pretty clear I was only ever going to be a coxswain, until I found out about the lightweight category. That was when I started training to be able to achieve that new goal. When I moved to New York I never stopped”, she tells us enthusiastically over coffee in Amsterdam. 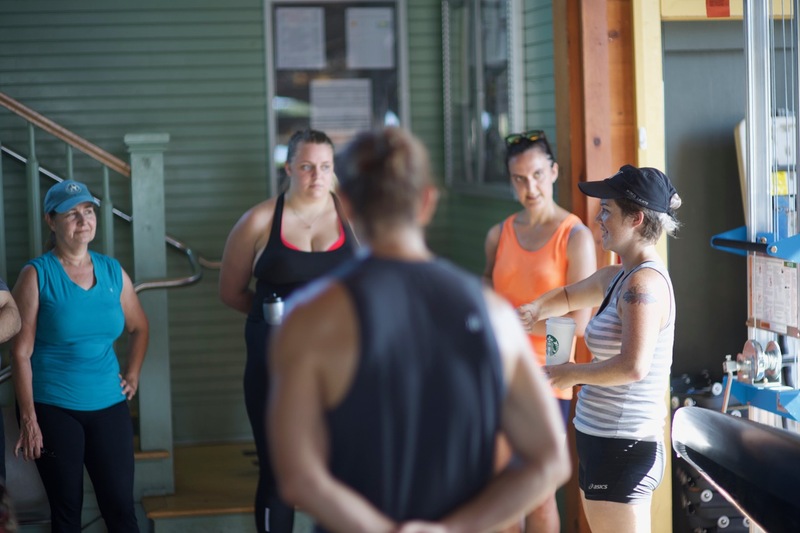 Abler started as a part time rowing instructor with Row New York, a center not only for learn to row courses, but which also offers Junior and master rowing courses. Meanwhile she is completing her PHD in physics at Columbia university, which she skillfully juggles along side her coaching tasks. When Toprow took over the learn to row courses, they immediately found the perfect instructor in Abler. For some years there’s been a trend in Dutch rowing. Talented juniors are leaving to the United States to continue their rowing and studying there. Toprow spoke with three of them – all from different universities and different years. What attracts them, is there a difference in rowing culture and how do they combine University rowing with their ambitions to row for the Dutch Rowing Federation? Gert Jan van Doorn, who was scouted by Cal’s biggest opponent at the Westcoast, the University of Washington, tells a similar story. “It is a combination of their interest in your rowing capabilities and the impression they make. I first went for a weekend to see what it was like. The sky is the limit then, you can even take your family, all paid by the university.” Especially California and Washington are doing everything in their power to recruit the most talented rowers. According to all there is a big difference in training mentality compared to the Netherlands. “Everything is way bigger and that is quite motivating”, says Roovers who used to train with a small team in Leiden. Van Doorn adds that another benefit of a large group is that there’s more competition. “We are continuously switching boats. Every training is a competition and you really have to push yourself. Physically you become hardened. In the Netherlands nobody trains at 5:30u in the morning, for us that’s daily routine. I never thought I would say this, but sometimes I even appreciate these sessions at sunrise.” This training regime pays off. All three of them improved their personal best time on the rowing machine with ten to fifteen seconds. Van Doorn even did it in one year. Both Van Doorn and Roovers praise the professional way of coaching in America. Not only within rowing but also in their studies. “There’s always a mentor available who can help with planning lectures and exams and as an athlete you have priority when enrolling classes. And there’s a gigantic dining-hall where we can have dinner immediately after training sessions. That’s impossible in Holland. Our Dutch coach, Willem Jan de Widt, tries to do it in the run up to the World Under 23 Championships as well. But there is no team to help him”, says Roovers. 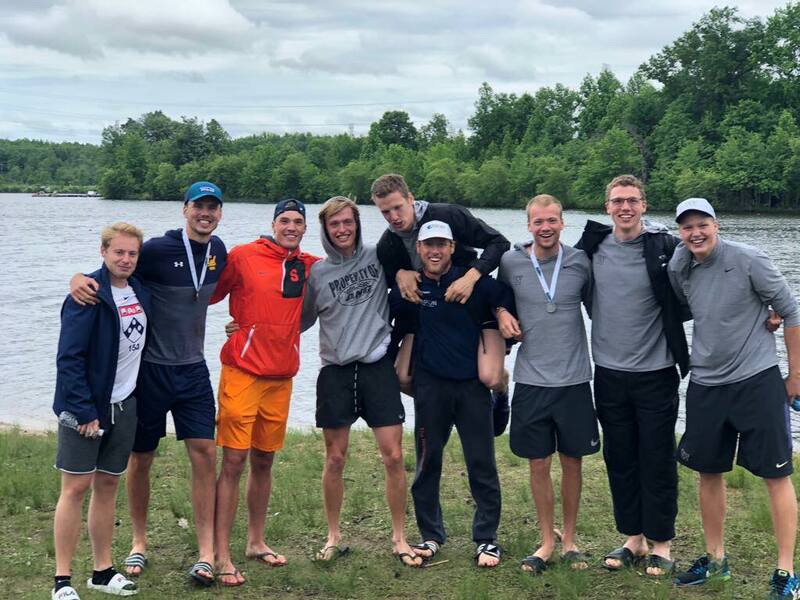 Despite the fact that the rowers only finish their American season end of June, they can still combine it with their ambitions to row for the Dutch Rowing Federation. Hurkmans is even selected for the national eight who is competing at the World Championships in Plovdiv. “I’m very lucky that the Dutch head coach supports my decision. He even came by this winter to see how we train in the States.” Roovers and Van Doorn were chosen for the U23-eight, despite the fact they had missed some selection races. “That was a windfall. I could have accepted if I wasn’t selected. I definitely want to grow to the international top, but I still have plenty of time left to go to the Olympics when I’m back from four yours of studying. We’re still very young”, says van Doorn. Rovers nods in agreement. After announcing the establishment of a new rowing centre in New York City last year, TopRow has decided to expand into the UK market by opening a rowing centre in London. 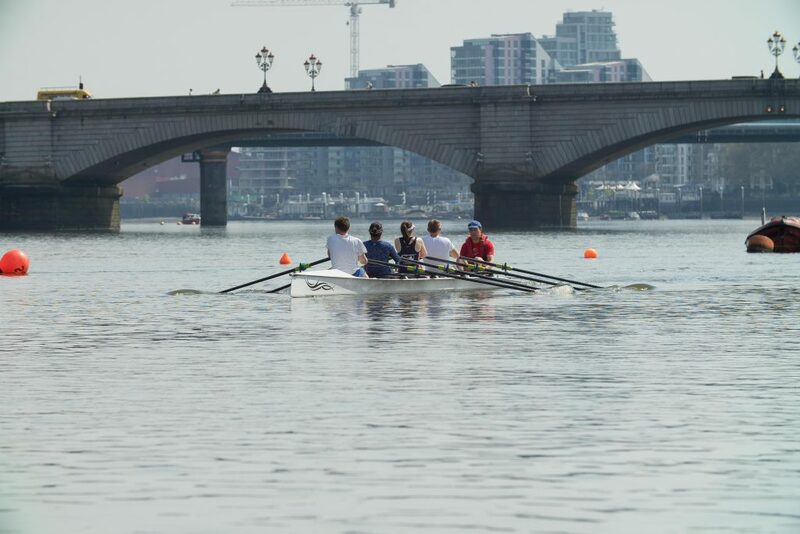 This will be a collaborative project with the prestigious London Rowing Club (LRC), which was founded in 1856 for the purpose of promoting rowing on the River Thames. “It all happened pretty much by coincidence. In response to an article on our rowing centre in New York City, which had been published on the Dutch rowing website NLroei, someone sent me an email regarding business opportunities in London. – Rowing is a very popular sport in England and many people are looking for a gateway to rowing. We believe that we provide an easy access to the sport with our unique concept of offering private rowing lessons”, says Jasper Smink, owner of TopRow company, which has its headquarters in Amsterdam. TopRow London will open its doors and offer lessons from the end of July 2018 onwards. People can row on Tuesdays, Saturdays and Sundays. Lessons are offered for beginners and more experienced rowers. You can also book private lessons and row in a single to improve your rowing technique as much as possible. 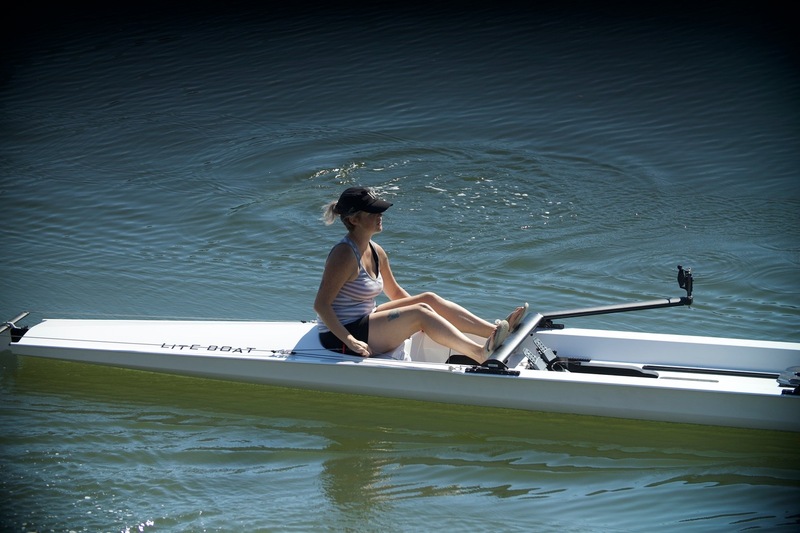 TopRow will use the safe and stable rowing shells of Liteboat. Safety is important at the Thames because it is, due to the tide and currents, one of the most challenging stretches of water. Therefore, TopRow makes safety a top priority. You can find more information on our website.